As much as we appreciate sunny weather more than the rain, the weather in Singapore has just been WAY too hot lately. Here are some places to check out if you need to cool off this weekend. We’re not the most sporty people, but SeaBreeze Water-Sports offers plenty of water activities that make us want to at least attempt to be sporty. You can wakeboard, paddleboard, or even just lie on a donut float as a speedboat pulls you along. 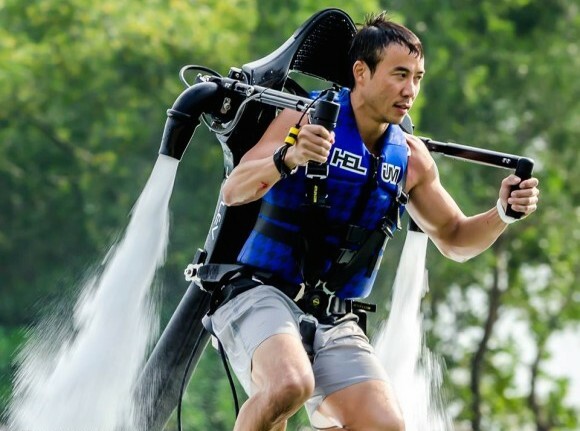 They also have water-propelled jetpacks, so you can fly around like Ironman if you so wish. Unless you’re heavier than the maximum recommended weight of 100kg, that is. In which case um, maybe try a donut instead? We mean the float of course, not the pastry. Stop it ah. If being outdoors is not your thing, head down to Urban Fairways for some air-conditioned comfort instead. 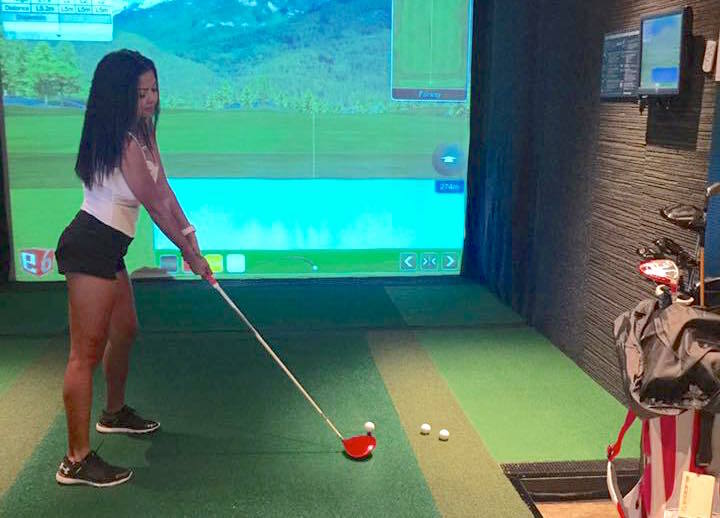 The indoor golf club also has a bar area, so you can have a drink while brushing up on your golf game. They also have a decent selection of sandwiches, bar snacks and drinks in case you’re feeling peckish. Okay okay, we know the Science Centre isn’t exactly the coolest hangout around (throwback to Primary School excursions anyone? ), BUT the Omni-Theatre there is worth checking out. 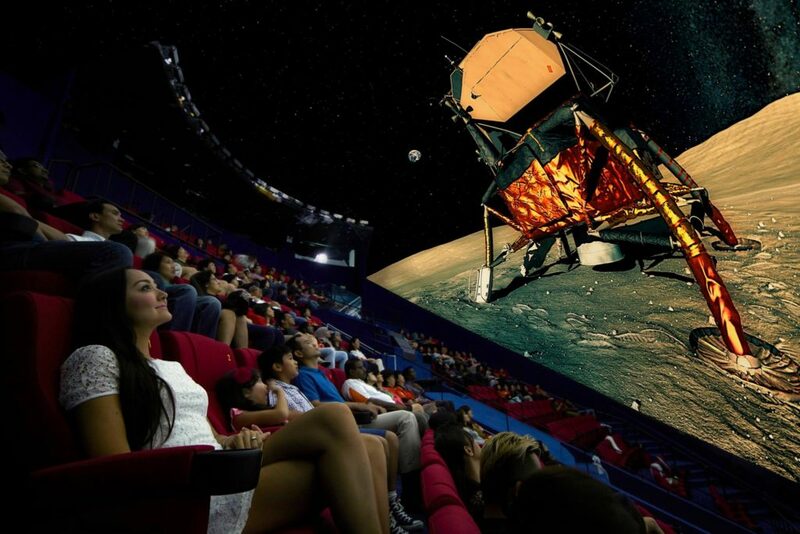 The impressive 248-seat IMAX dome theatre screens interesting movies about everything from planets to ancient Egypt, so it’ll be like watching the Discovery Channel on a really, really big screen. And hey, $14 for an IMAX movie is not bad right? What better way is there to beat the heat than to go ice-skating? 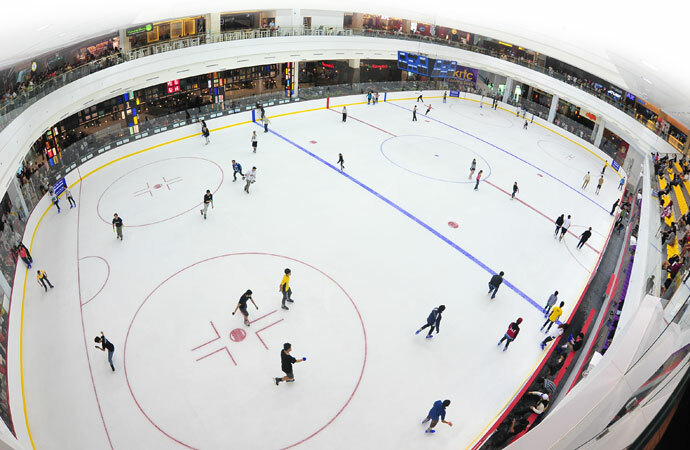 The Rink at JCube is Singapore’s only Olympic-sized skating rink, so you can unleash your inner Kristi Yamaguchi for just $14. Bring your own gloves and socks to save on added charges, but don’t bring a big bag because the lockers there are kind of small. Also, remember to check the schedule before heading down, so you don’t overlap with any ice re-surfacing sessions.